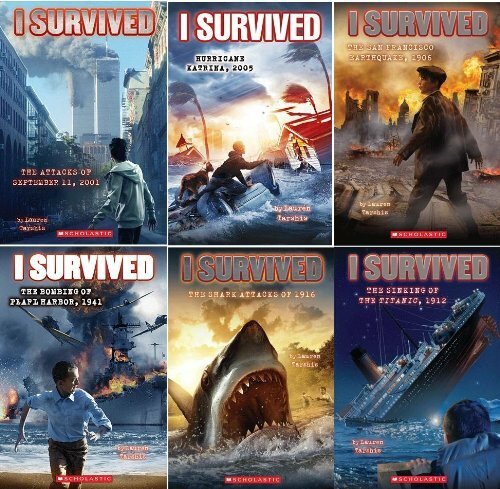 I Survived is a kids book series, featuring a pre-teenish boy or girl protagonist who survives some ordeal (usually a natural disaster) based off real historical events. By Lauren Tarshis, I Survived books are short, easy reads sure to delight and teach at the same time. The latest in Ms. Tarshis’ series is called “I Survived The Attack of the Grizzlies, 1967.” We follow an eleven-year old girl named Mel whose mother just died in a car accident. She visits her grandfather every year who lives in Glacier National Park. This is the first year they visit without her mother, and Mel is having a hard time adjusting. However, this year, the grizzlies in Glacier National Park are acting strangely, and Mel is determined to find out. Her Aunt Cassie is a writer, and she visits as well. They meet a wildlife biologist investigating the bear incidents as well and decide to hike to a lodge up in the mountains called Granite Park. There they learn the grizzlies have become a tourist attraction as the lodge is feeding the bears (aka baiting them) with garbage. It’s become quite the show. Mel herself almost gets attacked by a grizzly, but she is saved by a porcupine. That summer, two teenage girls are attacked and killed by grizzlies, bringing national attention to this problem. Trash was also everywhere, not being disposed of properly, further enticing the bears to change their behavior. These bears had lost their fear of humans and saw humans as a threat to their food source — garbage. The bears were also dying of starvation, having gotten glass in their mouths from all the bottles of food they tried to eat. In 1967, this truly did happen. Many called for the eradication of the grizzlies (as if it were their fault humans were baiting them and feeding them). Luckily, intelligence prevailed and the National Parks began to clean up their acts. They disposed of garbage properly — including instituting bear proof garbage cans — and launched an educational campaign to not feed animals, approach animals, or litter. Cleaning up our act has allowed grizzlies to thrive. In 1975, the grizzlies became a protected species and could no longer be hunted. There are now 1600 grizzly bears, living primarily in Montana and Wyoming with 32,000 in Alaska. I personally had never heard of this in history, so this has been my favorite I Survived book so far. Mel learns to talk about her sadness. Very educational and informative and sure to spark many long conversations about topics such as the conservation of animals and humans’ role in preserving species. I loved this book and learned a lot. Other I Survived topics include the eruption of Vesuvius in 79 AD, The American Revolution in 1776, The Great Chicago Fire in 1871, and the Japanese Tsunami in 2011. Great, quick reads that I highly recommend.